1.The brush can be assembled and disassembled automatically. In order to change the brush , press removing brush button to disassemble brush.On the other hand ,push the brush under the proper position firstly,and then press the assembling brush button to complete brush assembling . 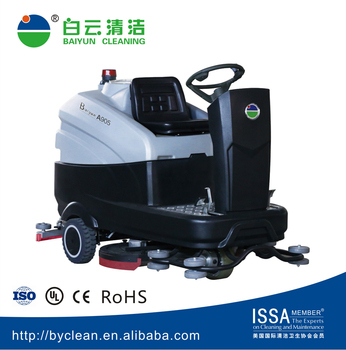 2.The machine has automatic and manual operation mode.Under the automatic mode,all the function works by stepping on the accelerator.Otherwise,each function can also be operated by hands singly. 3.The squeegee is installed through a clasp.Release the squeegee clasp to change squeegee assembly.